This article/keynote (link: https://wordpress.com/block-editor/post/masalachaimusings.com/1506) is bold—‘kadak’ if you prefer to say so. It is bold but, more importantly, it is accurate to hit the mark it aims at. Thus, it is only logical that it goes straight to the (contentious) point it wants to make; without any fear of calling to question a number policies and institutions that apparently are ‘beyond good and evil’—like the Human Rights Declaration or the CrC. Following this iconoclast spirit, Chaudhary directs her keynote to assess the scientific and ethical grounds of a number of “global” policies that have been applied in multiple communities around the world. The quotation marks on global stand for the main point of the keynote: these supposedly global policies are actually made by and for Western policymakers and researchers. In doing so, they end up—unwillingly or not—imposing Western conceptions over local practices, despite their efforts for ameliorating the struggle of developing countries. Far from an arm-chair critique, it is clear that Chaudhary’s come from years of experience—and frustration—observing how these well-intended policies, especially those directed to improve the rearing-conditions of children, crash and burn when applied in Indian communities. As the keynote also makes clear, the author is not trying to slam the door on the face outsiders—i.e. “leave us alone, ignorants!”—but simply asking for an equal place at the table where those policies and intervention are decided. Because, why would anybody write about these topics without the hope of bringing together these manifold ways of living into symmetrical ‘multilogues’—using Chaudhary’s apt term? The former, of course, brings forth the ever-troubling issue of cultural relativism. Yet Chaudhary manages to nimbly avoid this trip-wire by moving the discussion to concrete examples of (striking) differences in upbringing practices. By doing so, the author keeps the topic close to the ground rather than trying to establish—for the umpteenth time in human sciences—whether some culture could be deemed in general as superior to the next one, in this case, regarding rearing. 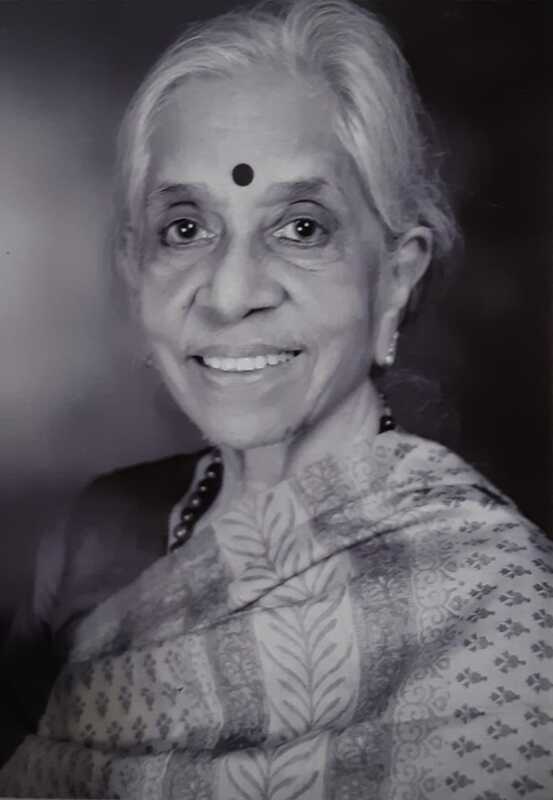 More importantly, keeping the discussion grounded makes possible to easily determine the strength of Chaudhary’s ideas, as her examples are too vivid to dismiss them as mere exceptions to globally successful interventions. On the contrary, the author is convincing in showing that the shortcomings of these policies are structural both in scientific and ethical grounds. 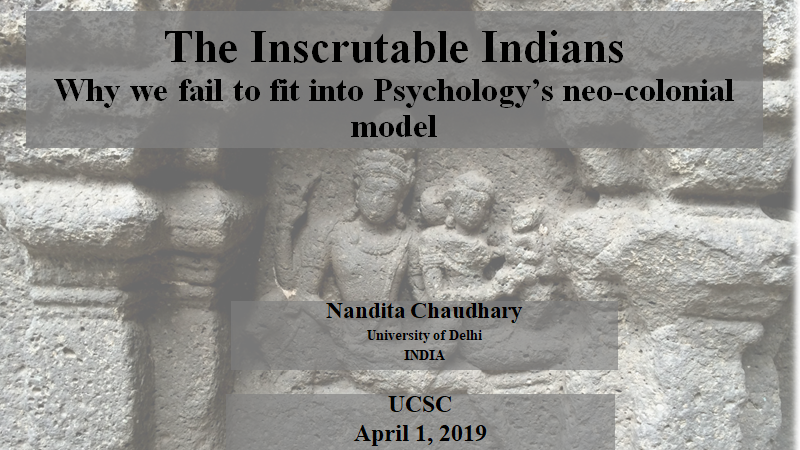 Since Chaudhary’s critique is pretty well-established, leaving little space to any honest rejoinder, on the following I elaborate on a point that follows from her keynote: why are Western-made interventions on upbringing practices are so difficult to fit in Indian communities, and developing countries in general. The short answer here is, of course, “because there are cultural differences so deep that make them incompatible!” This prêt-à-porter reply, besides being a blanket statement, does not cover what exactly could be those differences. By missing the latter, it is not possible to pinpoint the root of the differences; by not being able to pinpoint them, it is not possible to look for alternatives that bridge that cultural gap. Thus making the former answer of no practical value—and calling for something better. Yet sketching a straightforward answer about exactly why upbringing practices are so different in different cultures is tricky business for sure. As the rationale of cultural processes—like social actions—resemble the roots that we find in nature. For there is never a single root for a plant, but an entangled network of roots that keeps it living and thriving. Likewise, the answer provided to the former question is just an angle between many others—nothing more, nothing less. It is important to note—and also for the sake of transparency—that my take on the subject comes from a rather particular position, as my viewpoint is strongly shaped by the ways of living—and upbringing children—in Latin America. I claim this context to be particular for the matter at hand, as Latin American countries live in a sort of ‘hinge’ environment, between ‘being Western’—through ruthless centuries of colonization—but also developing countries. This implies that most countries in this region have a number of well-developed urban areas, which properly represent the ‘success’ of Western capitalism. The rest of the land, however, is composed by rural areas—especially sierra, jungle and coast—that resist any possible comparison with the ‘real’ West, i.e. United States and Europe. Thus, I have directly experienced how Western conceptions of upbringing—which are internalized as cultural ideals in Latin America—are mixed with local, very contrasting practices. All the former makes that communities living in Latin American countries are also intervened by Western ideals—but without the need of conducting global NGO interventions. The main difference with the case of India, however, is the lack of local, strong and independent set of upbringing practices, which is a natural consequence of centuries of colonial rule and ruthless state policies devoted to demote any non-Western practice. And it is precisely looking at state practices how we could a find hints for why, as Chaudhary analyzed, Western and non-Western ideals and practices of upbringing are difficult to reconcile. For this, attention needs to be drawn towards one of the—if not the—most relevant of all Western institutions regarding childhood: public school. This has to go beyond looking at its different levels—pre, elementary, middle, and high—and local implementation—, school hours, compulsory subjects, class sizes, etc. We should rather look at the root of Western schools: the Napoleonic, post-French Revolution public school. The former—part of a much larger understanding of the state and its influence over people—focused in covering the needs of all children, without any distinction. This approach, which might sound commonplace nowadays, was revolutionary precisely due to its universal scope—which was certainly connected to the rising needs of the ongoing industrial revolution, and also to the need of displacing the Catholic Church from its traditional role on education. More importantly, this universal approach assured education to those kids whose family was either dead, absent, or just ‘unprepared’ for rearing them. In simple terms, school in France—and thence in Western countries—was transformed to ensure that, regardless of the family environment of children, they will equally receive all the material and symbolic resources deemed (by the French state) as necessary to become a proper citizen. What does the former have to do with cultural differences in upbringing practices? Simply put, it points to a very simple yet striking conclusion: the Western approach to childhood has been articulated during the last two centuries under the assumption of missing or incapable rearing environments for children. Furthermore, by means of capitalism and Christianity, the former was soon equated to the nuclear family, and typically just the parents and ‘their’ children; tightening the circle even more on who are on charge of rearing. The consequences of the former are pretty clear: in the case of war, illness, or abandonment, children were—and still are—considered as orphans, leaving them as a responsibility of the state; rather than the community or extended family. To any country that has been largely acquainted with a communal approach to upbringing, like India and certain Latin American communities, the former is plainly absurd. Children are meant to be brought up by several different adults—being kin or not—along with fellow children, typically as a group. Thus, for instance, the close relationships that Latin American people usually have with their grandparents and cousins, as they were raised under the same roof. Since who would seriously expect that a double-income household, composed only by two parents, could bring children up all by themselves? Moreover, why would anybody try to do such a thing? Interestingly, these questions could be seen, at the same time, as totally reasonable by Western parents and also pretty absurd by non-Western ones. This is the deep nature of cultural differences, that people living in regions that are hinges between Western (late)capitalism and ‘other’ (?) forms of living, are quick to spot—as it is a diversity open to be seen in different areas of a country. It is also one of the many roots that explain why upbringing practices are so different around the world. For how could they be similar when the one(s) expected to be in charge of rearing are entirely different? “One kind of approach is presented as if it is the only way in which intelligent, mature and successful children can be brought up, and this is unethical and unscientific!” In fact, proposing otherwise is plainly absurd from any form of history-sensitive perspective. This is why, as Chaudhary proposes, it is unlikely to find universal interventions. Fortunately, nobody is asking for such a thing, the call is just to observe and listen before intervene.